Before starting the game, the set up was really clear. Germany would dominate and have to seek solutions against low block defense. France would probably rely on counterattacks by Griezmann. The prediction was real – but it didn’t have an influence to the result. France with a Furious Start, But Then Pushed Back! Somewhat unexpectedly, France presented themselves from the beginning aggressively. That they could not hold on to that pressure could easily be seen. The distances between the parts of the team and especially to the first-pass options after a ball-win by Germany were too big. Thus, France after turnovers had to consistently run back and lost rapidly in control (in addition it seemed like a coaches’ instruction). 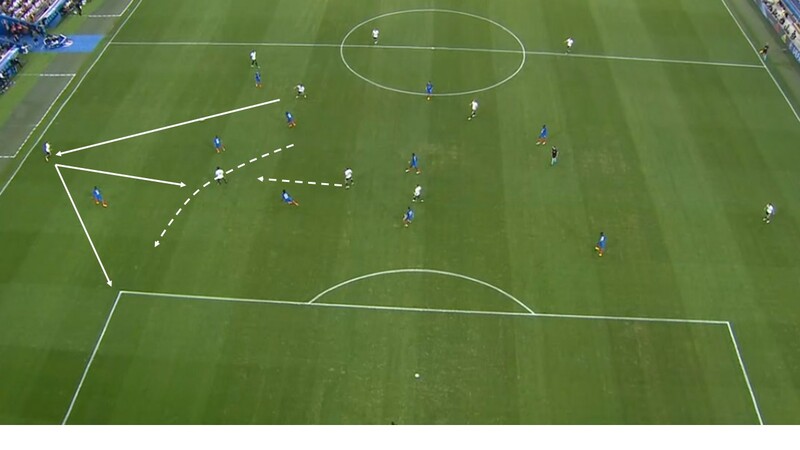 Germany showed in the following minutes usual dominance, controlled the half spaces and provided with short crosses from half space to half space that France had to focus on defending. Example: The ball is in a buildup situation. Germany does not use at the level of the opposing strikers and midfielders the entire width, forcing France to react to every pass. Rapid shifts between the two half positions shall provide good opportunities to break through. 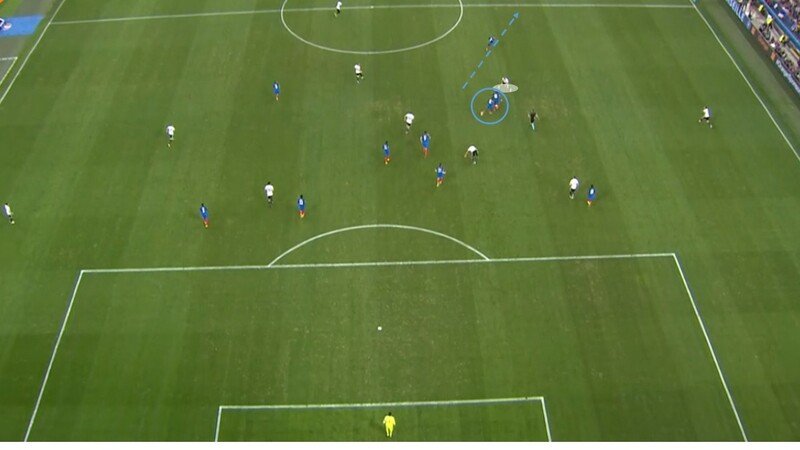 What France lacked in the first minutes, now belongs to the DNA of the German game – counterpressing! Meanwhile, no one gets a scary feeling when a German loses the ball – we can still be sure that the ball will be back soon. Example: France wins the ball in his own half (blue circle). Griezmann has actually a huge space in front of him to counter attack. But all that does not matter, because in the immediate distance to the Ball pressure can be provided. Particular interesting were the attacks on the right wing, where Kimmich, Özil and Can showed good coordination. Particularly Can’s Box to Box quality was a great element to the game. Example: The ball is shifted to Kimmich on the wing. 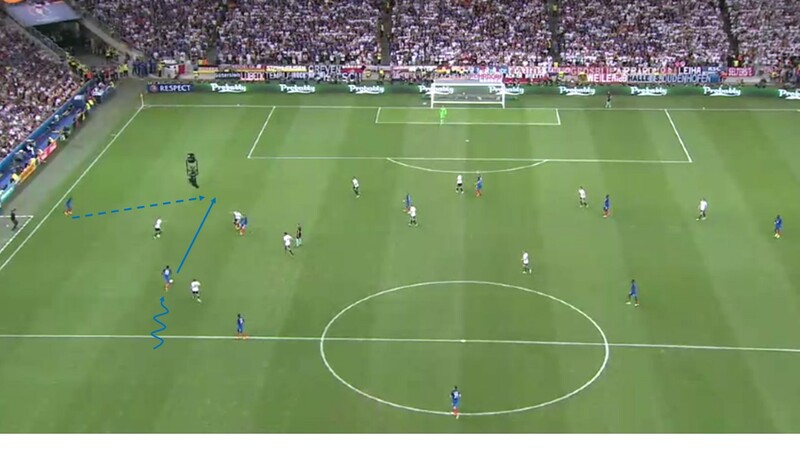 Can overruns the French defensive line and thus offers a good way to play into the depth. The defensive chain must react and run back. The open space between the chains can be used for a short pass. That France nevertheless had some compelling attacking sequences relied on two reasons. The first reason is Griezmann, who opened up perfectly and showed simultaneously scary effectively between the chains (shots on goal, passes or free kicks). The other reason was the somewhat improved building game of the French. Did they miss a consistent playmaking with initiate dribbling defenders in the tournament so far, they showed improvement in this game. Example: After a brief build-up phase of the French center-back dribbles and thus pulls the opponent to him. The 1:0 by penalty finally didn’t fit into the game. In the second half after a few minutes the score should have been 2:0 (keyword: Giroud). After this brief shock, the game represented itself as usual. Germany with a lot of possession. France very in their low block defense. Unfortunately for Germany they missed effective passing between the chains. 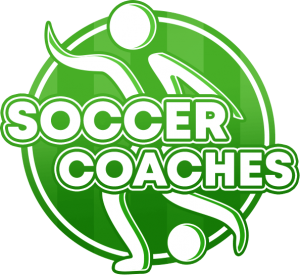 There is a great difference whether a player comes from the defending line of France to the ball (for example, Müller) or a player from the other direction gets the ball in between the chains (a midfielder). In the first case turning around is very difficult. In the second case, turning around and finding a passing option is easier (as Özil did from time to time). The latter could Germany realized only in a few scenes. When Boateng finally injured it worsened the probability that such situation occurred because not only the target man wasn’t in position but also one of the players capable of playing such a pass was missing. That, his substitution Mustafi lost the decisive duel, had less to do Mustafi rather than his opponent. Perhaps in past analyzes it already became clear that Pogba is one of my favorite players and those scenes are exactly the reason. With one move he completely confuses Mustafi. Exactly these artists outside of athleticism and strength, which makes this sport so special – at least for me. Quick Note: The important error of Kimmich I concealed deliberately in favor the action of Pogba. 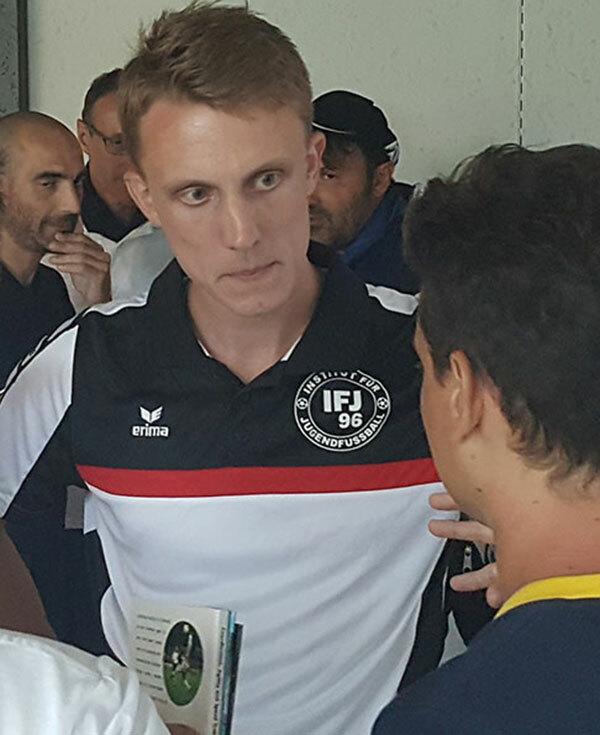 Conclusion: Germany presented itself as in the entire tournament with successful ball recovery and general dominance, however, they missed (also as in the previous tournament) effective intermediate chain Game and solutions in the last row. Unfortunate only that the decision will be made by a penalty and a crass individual error. France may rely on its world-class players Griezmann (all the time) and Pogba (at least temporarily) and has not to forget, a whole nation behind them on Sunday!